I still remember how we had so much fun at last year's Snacktacular, bringing home not just our favorite Oishi snacks but also so many memories and lots of fun! 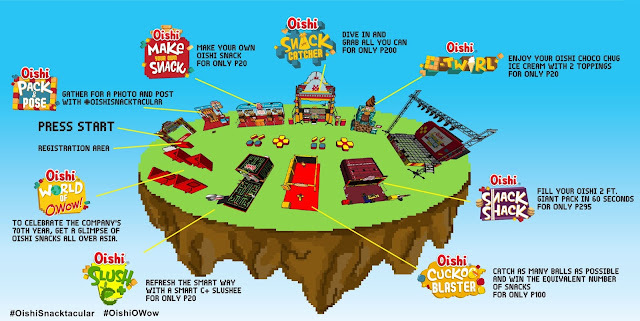 Now, let's have the time of our live and press play to see Oishi’s innovative booths make their comeback at this year’s 8-bit inspired event! Be as inventive and imaginative at the Make Your Own Snack Booth, O-Twirl, Snack Shack and refreshing Slush C+. Crowd favorite Oishi Snack Catcher will be back as well to give you an unforgettable experience! Get strapped up and guided to an enormous pool of Oishi snacks and grab all the treats you can take with your own hands! Apart from the return of some of the classic booths, get ready for new and exciting activities! Prepare yourself for Cuckoo Blaster: catch as many balls as possible with your Cuckoo suit on. This year’s Snacktacular is made even more exciting as we celebrate the 70th year of Liwayway Marketing Corporation, the company behind Oishi with the World of O,Wow booth! 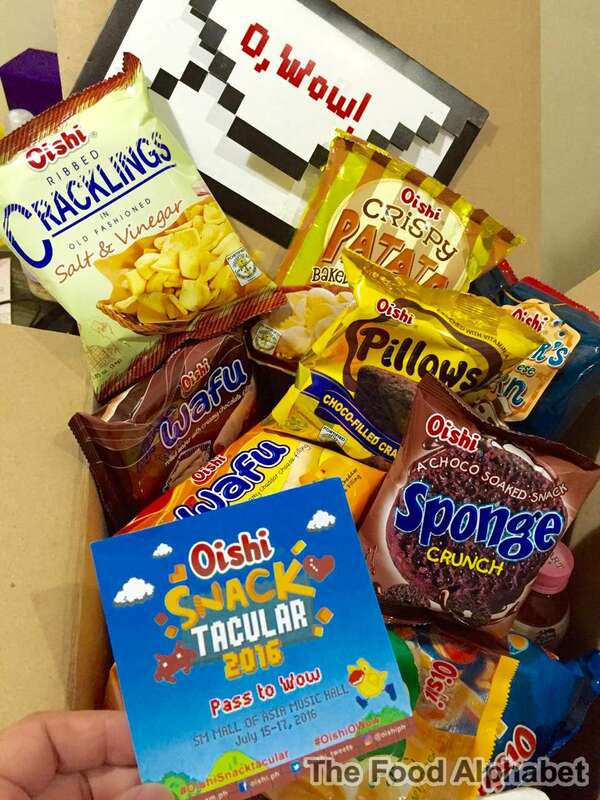 Get a glimpse of Oishi snacks that are unique to other countries such as Pillows Buko from Vietnam, Pods Manchurian Style from India and more! To turn up the O, Wow factor even more, Maine Mendoza, Oishi Ribbed Crackling’s endorser will be introduced as Team O’s newest member. With #OishiSnacktacular you’re sure to emerge a winner! See you at Oishi Snacktacular 2016!!! Don't dare miss out on the fun and excitement.